Losing your job is one of the most stressful things a person can face. If you’ve recently become unemployed, you may be depending on your Georgia unemployment benefits to help with bills, groceries, rent, and other basic expenses while you search for work. If you have been denied benefits, or if your employer is fighting your award of benefits, you may feel frightened and confused. The appeal process can be daunting. 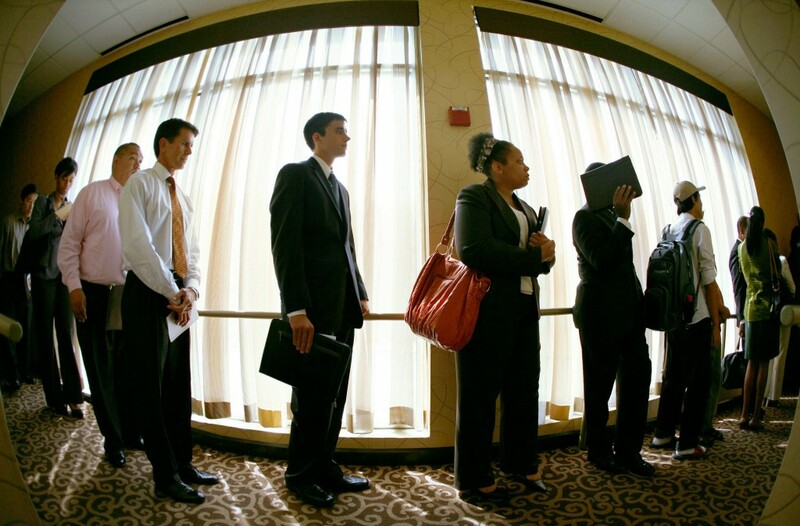 Below are seven tips we can give to anyone facing a Georgia unemployment appeal. This is for informational purposes only, and does not constitute legal advice. However, we are ready and willing to help should you need us. Contact us here. 1. Take Your Appeal Hearing Seriously. Many people come to us after they have lost their appeal hearing, stating they thought it was “just a little telephone call,” or that they “didn’t think it was that serious.” They soon regret this attitude. Your hearing before the Appeals Tribunal is usually your only chance to present evidence, to cross-examine your employer, and to make arguments in your favor. You have a right to appeal to the Board of Review, but they will generally not accept new evidence. So, take your initial hearing very seriously. Prepare yourself. Get an attorney if you can. Your entitlement to benefits will likely be determined at this stage. 2. Send Any Documentary Evidence Beforehand. If you intend to rely on any documents as evidence in your case, be sure to send a copy to the Georgia Department of Labor and the opposing party as soon as possible before the hearing. This is especially true if you have a telephone hearing. The hearing officer will not consider evidence that he or she cannot review. 3. Know Your Burdens Of Proof. If you resigned your employment, remember that you bear the burden to prove that you resigned for a “good work-connected reason.” You have the burden to present persuasive evidence–which includes your own testimony–establishing that you had to resign for reasons directly connected to your work. If you were discharged, your former employer bears the burden of proof. Make them prove that you did whatever they assert was “good cause” for the termination. 4. Remember the Hearsay Rule. A common pitfall for both employees and employers is to think that you can just tell the hearing officer what someone else told you, and win the hearing on that basis. However, all testimony must be based on first-hand knowledge. So, if you have some piece of information you need to present, bring to the hearing someone who can testify to that information based on first-hand knowledge. And, if your employer is trying to accuse you of some wrongdoing, be sure to object if someone tries to testify to that facts without first-hand knowledge of the same. 5. Have your witnesses ready. If you need someone to testify, be sure to ask them ahead of time (if possible), and to inform them of the time of the hearing. If it is an in-person hearing, it is preferable that they be at the hearing site. If it is a telephone hearing, they can testify by phone. You are permitted to compel a witness’s attendance, but you’ll need a subpoena. If you contact the Appeals Tribunal, they can provide you with a subpoena. 6. Be Courteous And Professional. If your employer is fighting your benefits, you may feel anger and resentment toward them. However, your unemployment hearing is not the time to show that anger. The hearing officer will not appreciate a claimant who is angry, bitter, rude, or accusing at his or her hearing. The hearing officer will appreciate if you are courteous, professional, and respectful. We have seen far too many people lose a hearing because they had an angry blow-up or said something nasty during a hearing. Don’t let your anger cost you your benefits. 7. GET AN ATTORNEY IF AT ALL POSSIBLE. This is honestly the best tip we can give. An experienced unemployment attorney understands the rules of evidence, understands the burdens of proof, understands how to question you, understands how to cross-examine the employer, and overall is in the best position to fight for your benefits. If you need help with your appeal hearing, we can help. Please contact us today.